MIAMI, Fla. - April 25, 2018 - Motorsport.tv has broken cover with an all-new format for its flagship racing program, concisely entitled Motorsport Show. The one-hour extended duration program, hosted by the award-winning journalist and presenter, Peter Windsor, has revised its format to respond to a clear demand for additional insight into Formula 1 and other key categories of racing in the North American market. 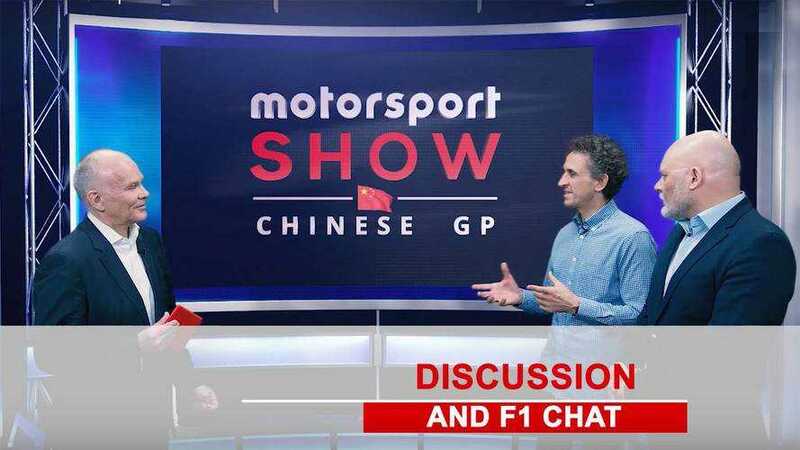 Building from the foundations of the ever-popular The Flying Lap, Motorsport Show will review and analyse the detail of every Grand Prix on Tuesday to inform the post-race conjecture and debate. And, from a thorough assessment of each completed race, the program will use its impressive roster of pundits to look at the broader issues of Formula One and its absorbing new future. Motorsport Show’s class-leading CGI 3D visualizations of circuits and race car technology bring the expert opinions from invited panelists to life, all packaged from Motorsport.tv’s all-new television studios in Richmond, England. Peter Windsor was a former team manager at Williams F1 and General Manager at Ferrari before embracing a unique insider’s perspective to inform a media career reporting on the sport. He is a recent recipient of the Lorenzo Bandini Gold Medal for his services to motorsport. The Motorsport.tv studios are already a second home to many senior figures in the sport as well as experts drawn from across Motorsport Network, bringing Motorsport Show a distinct insider’s perspective on Formula 1, as well as injecting news, reviews and insight from other leading categories. And as much as delivering informed analysis, the show in its expanded format will also review some of the lighter news from every weekend, replaying highlights from social media commentary and the colour from each race weekend. Motorsport Show airs every Tuesday night on Motorsport.tv at 7 PM local time. It will also be available on-demand on Motorsport.tv and edits from each show will be watchable on Autosport.com and Motorsport.com as well as all Motorsport Network social platforms.